Life without light is not possible. Light on the other hand is the sum total of all colors, whether visible or invisible. That light and colors can be beneficial if used appropriately is the logical conclusion of an insight that is as old as humanity itself. A large part of the healthcare of the ancient cultures was based on this premise. The Egyptians, the Greeks, the Romans, Eastern Indians and Chinese knew about the beneficial properties of light and color. Each of these cultures had their own methods of “light and color therapy.” There are many indications that these techniques were especially highly evolved in ancient Egypt. 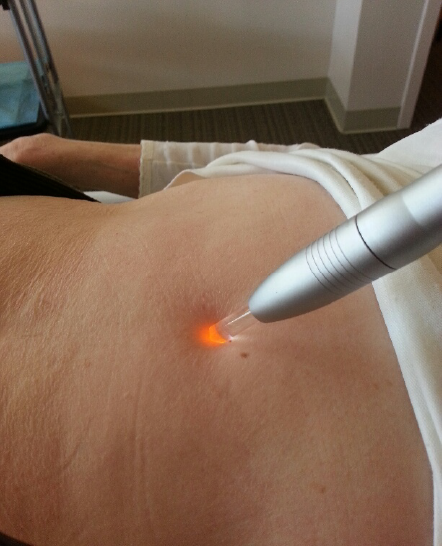 This insight has been utilized successfully through Esogetic Colorpuncture with its color surface holistic treatment according to Dr. Peter Mandel. Colorpuncture is a holistic therapy which addresses the individual human being. That requires looking into the causes of physical complaints, because only through the elimination of the cause – which often is of a psychosomatic nature – can a condition be eliminated. The multilevel approach of Esogetic Colorpuncture is the cornerstone of the success of Esogetic Medicine. It is not the goal to eradicate the condition in a “quick fix.” The intent is to inquire into the ‘why’ and then find an answer. Thus, through an individualized application of Esogetic Colorpuncture, the foundation is taken away from the condition. The effects of the colors and the multitude of exactly defined skin zones and acupuncture points are the medium that provide benefits. There are more than 200 different systems within the Esogetic Colorpuncture system, which already has established itself as a painless and side-effect free, gentle method of holistic therapy in more than 20 countries worldwide. Since the 1980’s, Dr. Peter Mandel has continued to revise and expand his therapeutic system to find ways to heal illness and pain and to contact our personal information flow. To this end, Mandel uses not only the basic spectral colors and the soul spirit colors, but has created new systems using grey rods, infrared and ultraviolet frequencies, brain wave regulating equipment, sound and crystal therapies. The different applications are used to open different levels of consciousness and unblock deep patterns of therapy resistance. For the client this creates an opening of an emotional/physical “blind spot” leading to a clearing of old emotional trauma and physical pain.